Joaquin Niemann of Chile, the No. 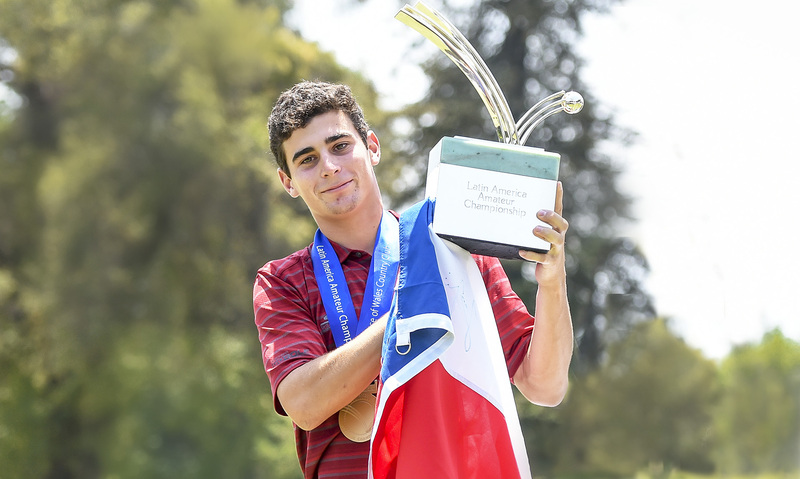 1-ranked player in the World Amateur Golf Ranking, played a blazing stretch of seven holes in seven-under-par midway through the final round to seize the fourth Latin America Amateur Championship (LAAC) at Prince of Wales Country Club. 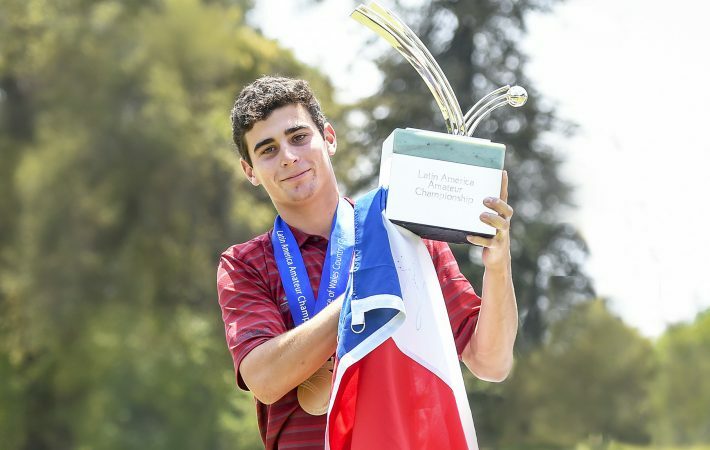 Niemann, 19, became the third player from his home country to win the LAAC in four years, and he did it before hundreds of partisan fans in his hometown of Santiago. His final round of eight-under-par 63 broke the championship record and helped him finish at 11-under-par total of 273 for the week as he overcame a one-stroke deficit to Alvaro Ortiz of Mexico, entering the final round. Ortiz, 22, a senior at the University of Arkansas, finished alone in second after a closing round of two-under 69 for a six-under total of 278. He was one stroke better than three players: Jaime Lopez Rivarola of Argentina, Gabriel Morgan Birke of Chile, and Daniel Gurtner of Guatemala. Niemann drove the green on the 313-yard, par-4 eighth hole thanks to a fortuitous bounce off a tree, then sank the eagle putt to start his winning run. He reeled off four consecutive birdies on holes 9-12, and after a par on the 13th, he added a two-putt birdie on the par-5 14th. 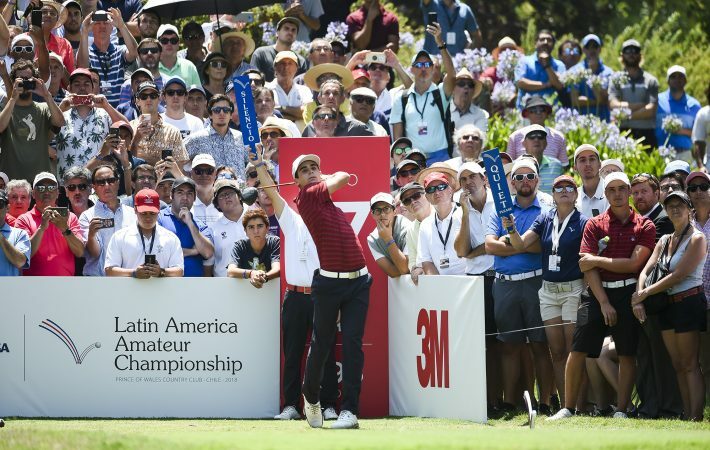 Chile’s Toto Gana, who defeated Niemann and Ortiz in a playoff to win the 2017 championship, and was tied with Niemann at three-under to start the final round on Tuesday, closed with a one-over 72 and finished in a tie for seventh place. 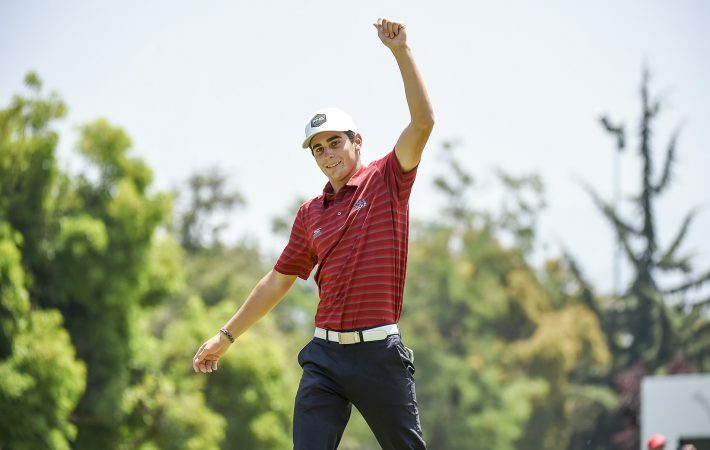 Joaquin Niemann receives an invitation to compete in the 2018 Masters at Augusta National Golf Club, as well as full exemptions into The Amateur Championship, U.S. Amateur Championship and any other USGA amateur championship for which he is eligible. In addition, Niemann and Alvaro Ortiz will be exempt into the final stages of qualifying for The 147th Open at Carnoustie and the 2018 U.S. Open Championship at Shinnecock Hills. Joaquin Niemann, 19, Chile: “After I made that eagle on the eighth hole and I birdied nine, 10, 11 and 12, I didn’t watch the leaderboard until the 14th hole. I realized at that moment that I had a huge advantage over the other players, so I thought maybe this was going to be my tournament. “When I got there [18th green] and I had a very short putt to make par, I was just very happy and it felt really good to be there celebrating with the people that were walking with me. “What really helped me was the playoff last year [at the LAAC]. That gave me a lot of experience. I think having two Chileans hoist that trophy before was also a big influence. “Playing Augusta is going to be really difficult. You have to know that golf course. I’ve played the Masters only through games, video games. Alvaro Ortiz, 22, Mexico: “After those first nine holes, I was really calm. I wasn’t nervous at all. I was doing everything right, and it’s not easy to watch the leaderboard and to notice that even though you’re playing great, it’s not just running, it’s a sprint. 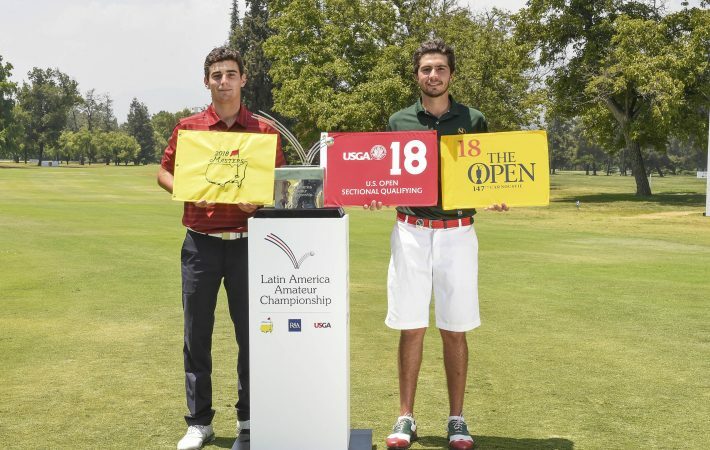 Champion Joaquin Niemann’s score of 11-under-par 273 breaks the LAAC mark for low 72 holes by three strokes, which was set by Chile’s Matias Dominguez in 2015. Niemann’s final-round 63 is an LAAC mark for low score in any round. His 63 was four strokes better than the previous LAAC-best final round of 67, shot by Alvaro Ortiz, of Mexico, in 2015. Niemann’s victory gives Chile its third champion in four editions of the LAAC, as countrymen Dominguez and Toto Gana won in 2015 and 2017, respectively. Prior to Niemann’s eagle on No. 8, every eagle in the championship had been made on the three par-5 holes (Nos. 3, 9, 14). Third-round leader Ortiz also shared the 54-hole lead in 2017 with eventual champion Gana. His runner-up finish gives him the strongest resume of a non-winner as he was T3 in 2015 and T2 in 2017. Ortiz, a senior at the University of Arkansas, is the only player in this year’s field to record four sub-par rounds (69-70-70-69). He joins 2015 champion Dominguez and 2015 runner-up Ale Tosti, of Argentina, as the third player with four sub-par rounds in one championship. 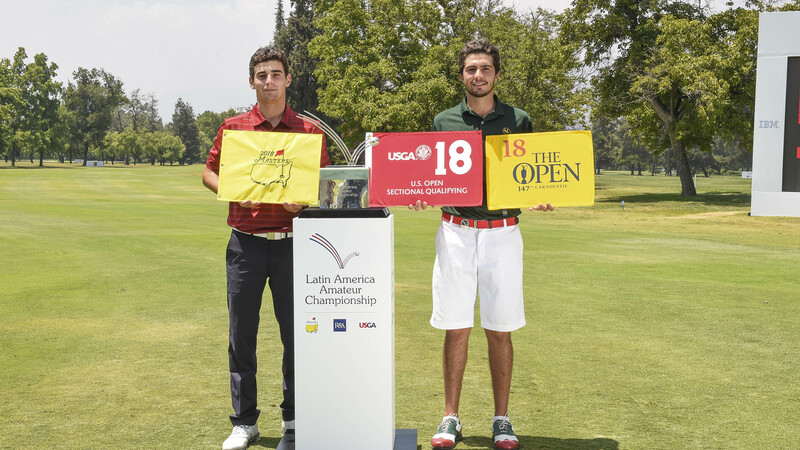 Julian Perico, of Peru (67-68), and Niemann (72-63) set the LAAC mark for lowest last 36 holes at 135. The previous low was 137 by Niemann in 2017. Gustavo Silvero, of Paraguay (T9), produced his country’s best finish and first in the top 10. Daniel Gurtner, of Guatemala, earned his nation’s best finish in the LAAC with a final-round 69 and a tie for third place. Eighteen players broke the par of 71 in the final round and 10 finished under par for 72 holes.